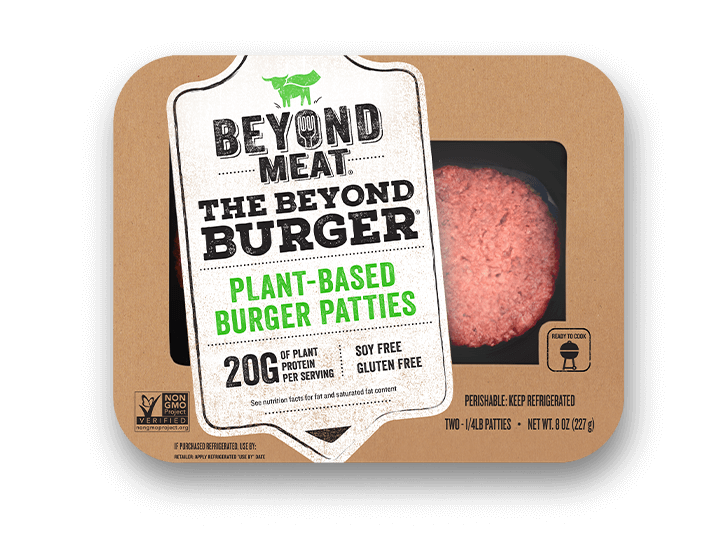 Thaw Beyond Burger patties according to the package. In a colander, rinse kale, remove center stems, rough chop. Onto a sheet tray, place kale, olive oil, salt, pepper, and roast in the oven at 400℉ for 5 or so minutes until a crispy chip-like texture and bright green. In a saute pan, place cabbage and sweat for a couple of minutes, until bright green and slightly soft, season to taste, remove and set aside. In a saute pan, cook your burger for 5 minutes on either side or until 165F is reached. Melt cheese on top of burger in the last minute. Toast sliced buns on griddle until golden brown. 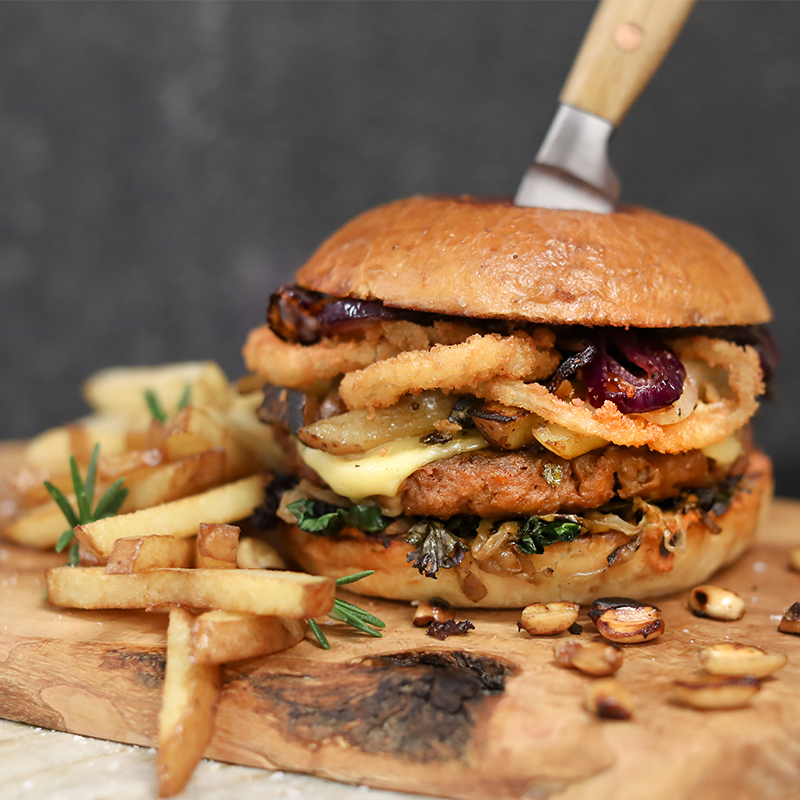 Assemble burger with cheese, kale, caramelized onions, onion rings and cabbage on a toasted bun. Drizzle with chipotle sauce and sprinkle with peanuts if desired. Serve with french fries.